As of November 15th, hydro customers cannot be disconnected and the winter disconnection ban extends until April 30, 2018. 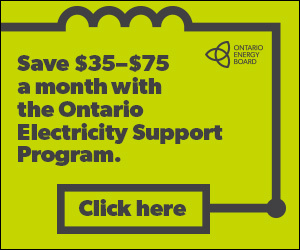 May Changes to the Ontario Electricity Support Program: credits are increasing by 50% and the maximum income threshold has been raised. Contact the Social Development Centre 519-579-3800 to make an appointment and we can help you with your application. Our intake workers can answer your questions, check your eligibility, do the manual income verification and help you fill out an application. Read more at the Ontario Energy Board website and in our local announcement.